Aug 12, 2016 (LBO) – Profits at Ceylon Tobacco, a unit of British American Tobacco, rose one percent to 3.0 billion rupees in the June quarter, interim accounts showed. The firm reported earnings of 16.28 rupees per share for the quarter compared to earnings of 16.12 rupees per share posted a year ago. The share last traded at 900 rupees. As a high dividend yield company, Ceylon Tobacco announced two dividends of 15.60 rupees per share and 16.70 rupees per share in May and August respectively. Gross revenue at Ceylon Tobacco rose 12 percent in the quarter to 30.0 billion rupees and government levies also rose 10 percent to 22.5 billion rupees reporting net revenue of 7.6 billion rupees for the quarter, up 16 percent a year ago. In the 6 months to June, profits rose 11 percent to 6.1 billion rupees posting a gross revenue increase of 13 percent for the quarter. 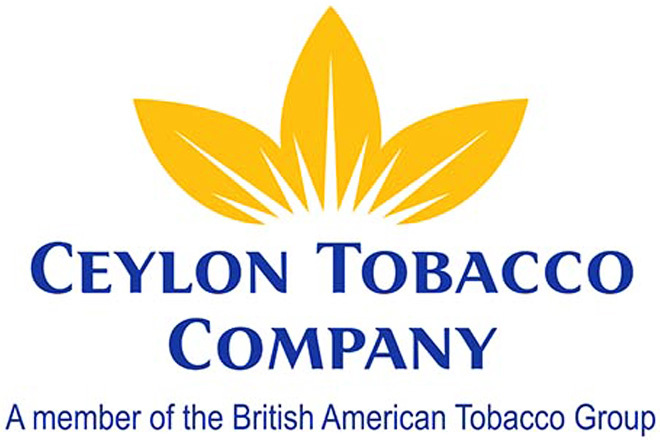 Ceylon Tobacco has paid 49 billion rupees to the government, in the form of excise tax, corporate tax and other levies, during the six months ended June 2016. CTC said its contribution to the government increased by 12 percent against previous year, driven primarily by higher prices as a result of the excise led price increase experienced in October 2015 and relatively stable volumes during the first 6 months of 2016. The company said a total of 811 raids has uncovered 2.5 million illegal cigarettes worth 88 million rupees during the first 6 months of 2016. CTC said under regulated and low taxed products such as “Beedi” still remains a key threat to government revenue from the tobacco industry. The public shareholding at the end of quarter was 15.87 percent comprising of 3,526 shareholders. Ceylon Tobacco is the second largest listed entity in the island’s stock exchange in terms of market capitalization and its principal operations are manufacturing, marketing and selling cigarettes. Government currently plans to bring in a new proposal to increase taxes of cigarettes to 90 percent from the current 72 percent of their purchase price. Health Minister Dr. Rajitha Senaratne says that increasing the tobacco taxes up to 90 percent would help reduce smoking by 4.5 percent.